At the end of the day, I still believe that there is an underlying heartbeat of justice to this world; that human life is worth something and that each person deserves to be treated with dignity, nurtured to grow, and have the opportunity to thrive. That heartbeat, that constant pulse, brushes away the fear that 50 years of occupation will pass and no one will bat an eye. It gives me hope that systems of oppression will be topples and it reminds me that human beings are both more creative and capable to change than I give us credit for. It tells me that through our actions, we make the mundane meaningful, the profane sacred, and the unholy holy. I dropped my bus pass on the street today. I realized as soon as I got on the bus--but it was too late, I needed to be at a meeting and couldn't turn back. I was slowly climbing the last flight of 3 flights of stairs to my apartment and drowning in the thought of the bureaucracy required to get a new bus pass. Suddenly, my phone rang. It was Etti, from the bank. She found my pass and found my phone number. Israel--a small country that (sometimes) has your back. Greetings from the Unholy Land. I'm scared that it will never get better here. I'm scared that my hope and optimism is naive. I'm scared that for every conversation that leads to 2 people connecting beyond their identities as enemies, one person's action can ruin it. I'm scared that the places I love will no longer be able to exist. I am scared that the people I love will be corrupted by what is normal. We are being desensitized to violence. I don't go to protests anymore because I am tired. At the bus station this morning, I saw 2 BRIGHT green parrots. Just casually sitting there--their long tail feathers hanging over the concrete barrier. Such a brightly colored reminder that I live in a foreign environment. This is not Colorado. It shocked me from the normalcy and established rhythm of my morning commute filled with gun-toting soldiers and religious men offering me prayerbooks or husbands. I can't get the ringing echo of sirens out of my head. This morning in Jerusalem, a 50 year old woman attempted to stab a soldier outside of Damascus Gate. She was shot and killed. Another attempted stabbing in Petah-Tikvah. Then another at Damascus Gate. Then. Tonight in Jaffa. Right near my new home. 12 people stabbed. Attacker shot dead. I'm scared. I'm scared that it will never get better. I'm scared that my hope is naive. I've only been living this reality for 2 years. Think about those who have lived it for a lifetime. My mint plant died, and they've started construction on the building across the stree from me. It's only been 3 days, yet it feels like an eternity. There and back again. Each time I return to Tel Aviv after being in the W. Bank, I'm struck by the café go-ers and the model-esque people walking their fashionable dogs and starting a vegan, gluten-free diet. Ramallah does not exist in Tel Aviv. The two separate realities gives me whiplash. I feel like Alice who just walked through the looking glass. I'm currently leading an Extend tour of 8 American Rabbis in the West Bank. I'm surprised by their previous experiences here. I came with the assumption that as older, American, Jews, they don't know what's going on here. But they do. They know the reality of occupation and have been fighting it for longer than I've been alive. 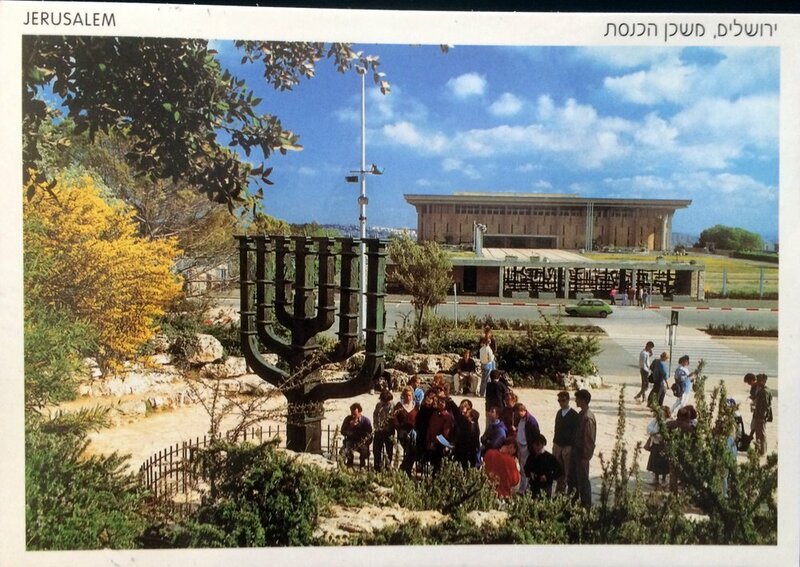 They protested the building of settlements in Jerusalem in the 1980s. They facilitated dialogue groups in the 1990s. They were shocked by the Intifada in the 2000s. And here we are, the next generation, still fighting the same fights. The generation gap needs to be bridged--we have so much to learn from each other. Last night, 2 soldiers followed directions from the application Waze and it took them through Qalandiya refugee camp. A riot started--molotov cocktails were thrown at the army jeep. The soldiers ran away from the fire, ended up getting separated. In the process of going and finding them, a young Palestinian was killed. He was a student at the University. Today, while on the tour of the Rabbis in the West Bank, we see posters of his face everywhere. Shahid. "Martyr." 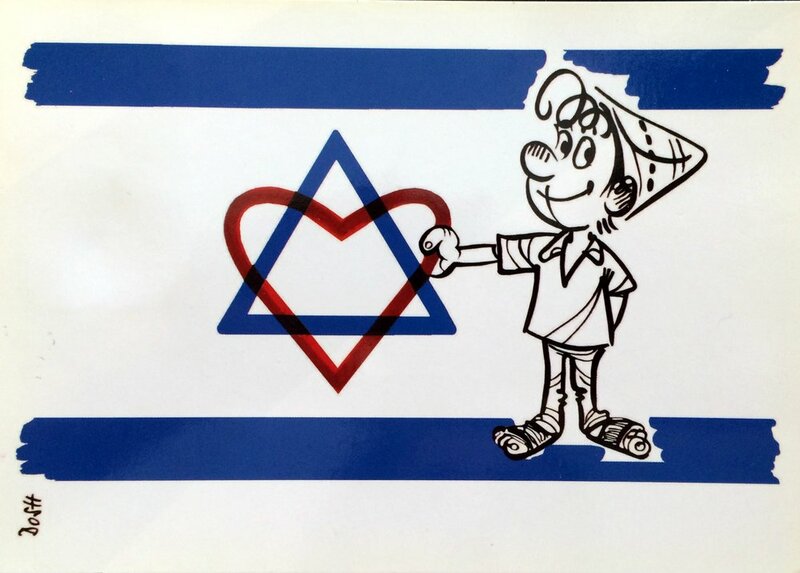 Today as we drove along the highway the cuts through the West Bank and connects commuters from Tel Aviv to Jerusalem, we flicked through the radio channels. Arabic. Hebrew. Arabic. Hebrew. A famous Israeli actor was accused of sexual harrasment. Flick: Arabic--a house in Nablus was tear-gassed last night. Click: Frank Sinatra's "May Way" sung in Hebrew. Flick: a house was demolished in E. Jerusalem. Back to Hebrew: a woman calls to give testimony against the actor. Arabic- a teenager was arrested in the middle of the night. Listening to the news here, it's two completely different realities. I was trapped in the South thinking about tunnels today. It is דרום אדום right now--known as the "Red South": the entire desert is blooming with red anemones. So my family and I are sitting on a blanket in a field, picnicking, watching the new grandchild wobble on his legs, one kilometer from Gaza. And I kept imagining tunnels under our feet. The term "Red South" took on a different meaning suddenly. It was sunny today. On the bus, I had to choose between sitting next to a religious woman who was praying or an old woman who smiled at me--she was missing some teeth. I sat down next to her and she and I exchanged a smile about the change of weather. She's off to visit her brother at the hospital, by the way do I want to date her son? "He just graduated from Bar Ilan. Studied geography. 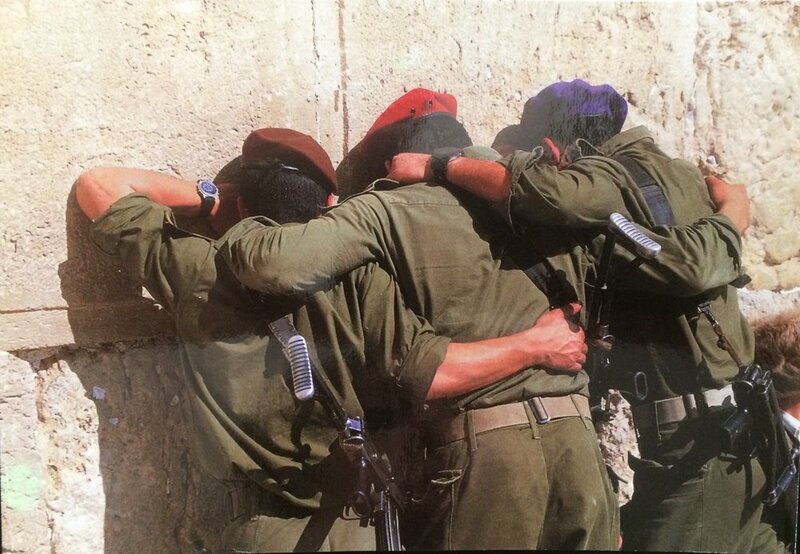 Wear a kippa, does that bother you?" I politely declined. "Do you have a sister?" I told her no as I got off my stop in Jaffa. She called out after me, "Beware of stabbers! Don't trust Arabs!" 3 beeps on the radio: "This is the hourly news." Bated breath. An earthquake somewhere. Diplomatic negotiations taking place over a different territory. Then comes the weather; the ground beneath our feet stays still. All that matters now is that the traffic is clogged on the south-bound highway. Two tents in Susiya were demolished today. A kitchen tent. 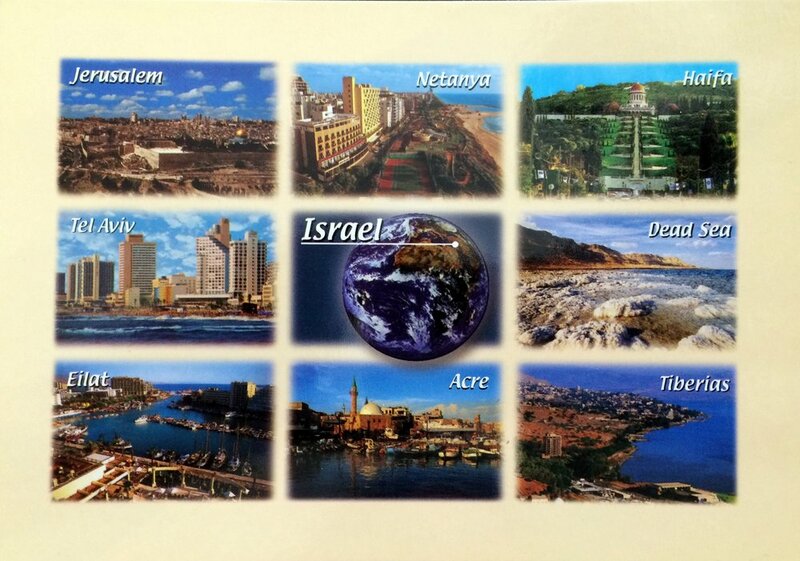 Because this Palestinian village does not exist on Israel's Mast Plan Map of the West Bank. Area C is all grey area. Nasser, who lives in Susiya was later arrested. Ezra, an Israeli activist who spends every Saturday in Susiya was arrested. The government is slowly chipping away at any organization or person in the "Left": the media is demonizing human rights. There were moles planted in Breaking the Silence, and the Btselem office was on fire. Where will the kids of Susiya sleep tonight? I dread the moment when someone asks me how I am cause I don't have the energy to feign being fine. It's impossible to smile and say, "Good, how are you?" Is it the winter rain? Is it the recent attacks? Why does the world feel like it's getting smaller? My favorite time of day is walking through the shouk as the sun sets and the vendors start singing sale prices. "Strawberries! 8 shekels a kilo!" "Grapes! Grapes! Only 12 a kilo!" "Ten pita for 5! Ten pita for 5!" The accents bounce off the street and blend together until you don't know who is Arab and who is not. Two young girls came into the café where I work this afternoon right after the stabbing that happened only one kilometer away--right around the corner. 2 killed, attacker shot. One girl waved her cell phone at us: "Look! Look! That's his brains on the street!" A picture is pressed to our faces. I close my eyes so as not to see the yellow police-tape or the remains of hate. We are being desensitized to violence. "Do you want something to eat?" I ask. My stomach churns.